Listen Up! 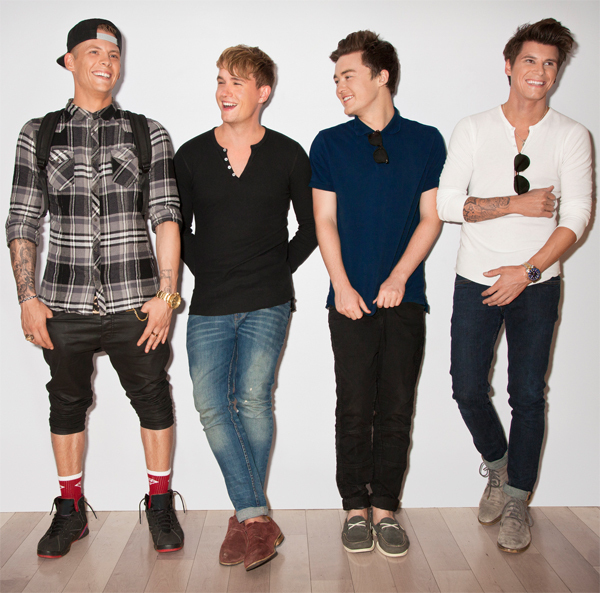 _ Rixton - Pop! Bang! Boom! A few years ago, boy bands begin to come back in fashion. We've seen mega successes through groups like one direction and the wanted, and it seems that trend is far from over. A fresh new crop of young guys are ready to start breaking hearts and selling more records than you'd realize (unless you have teenage girls in the house), and one group that has recently come across my radar is Rixton. The British a foursome have only been together less than two years, but already they have the label, songwriting and production Talent, and the charm to make themselves a household name. In May, they will release their debut EP "Me And My Broken Heart", whose title track and lead single is about to be a top 40 hits in the United States. Benny Blanco and boy band veteran Steve Mac are responsible for production, while Rob Thomas has a writing credit. With names like that attach to the project, how can it fail? Even if you don't like the music itself, you have to appreciate then at least the boys are more fun then so many of the male singing groups that came before them. Watch their video for make out and tell me it's not better than anything the Backstreet Boys released (at least in a haha sense).